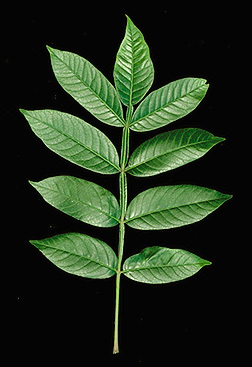 Leaf:Alternate, pinnately compound, up to 12 inches long, 7 to 15 leaflets per leaf; leaflets are lance-shaped, with entire margins, rachis has prominent wings between the leaflets, shiny, dark green above, paler and a bit fuzzy below. 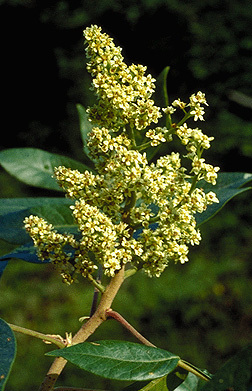 Flower:Species is monoecious; greenish-yellow and small, borne on 3 to 5 inch wide, terminal pyramid-shaped panicles in mid to late summer. 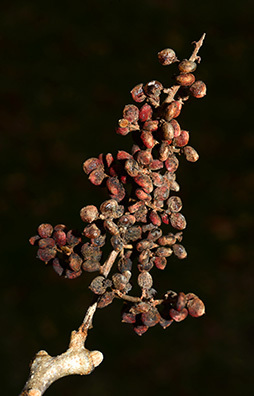 Fruit:A dark red, round drupe borne on terminal cluster, 1/8 inch long, covered with short, sticky, red hairs; matures in fall but present through winter. 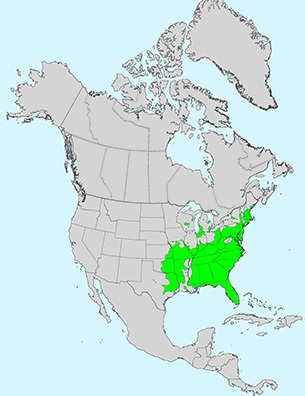 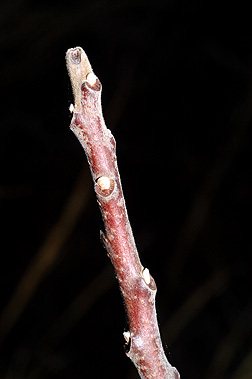 Twig:Medium-textured, speckled with lenticels, and covered with fine, velvety, reddish brown hair; buds are small, rounded and hairy, leaf scars horseshoe-shaped. 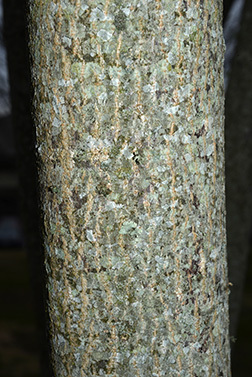 Bark:Light brown or gray, smooth with numerous lenticels when young, later with large, thin scales. 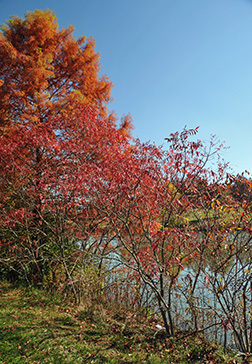 Form:A small tree or large shrub up to 25 feet with a short trunk and spreading branches.